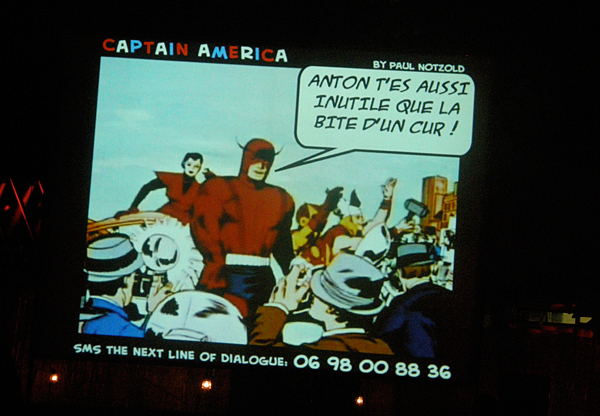 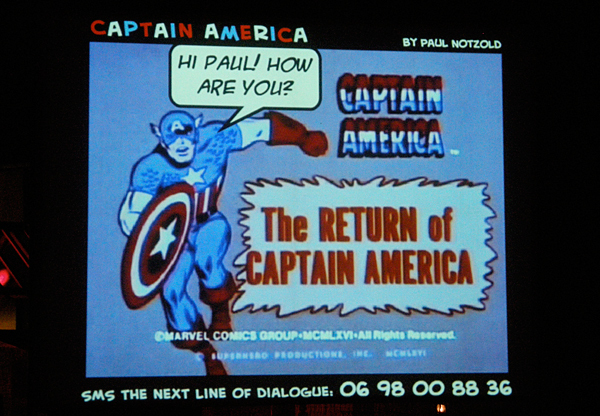 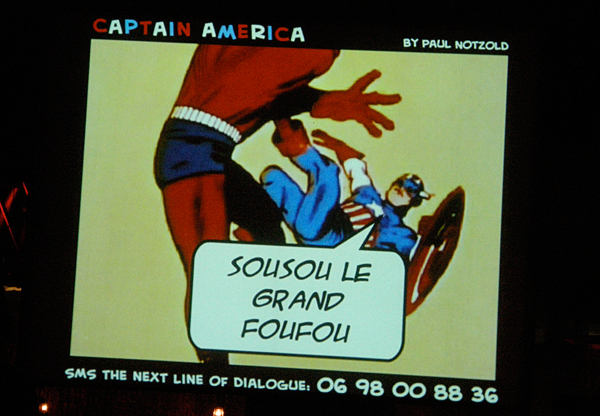 Pulling frames from the 1960’s marvel animated classic series, The Return of Captain America, is now powered by your text messages. 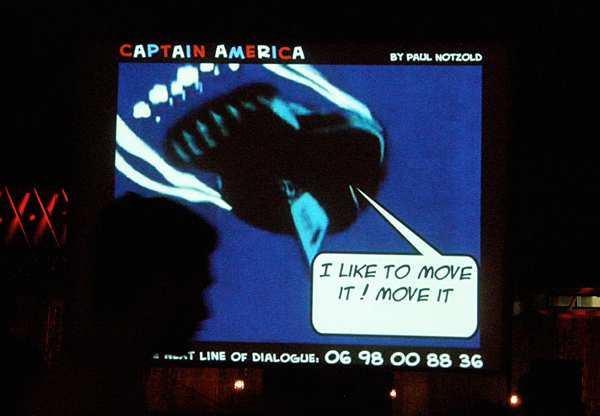 An audience sending in text messages triggers the movie frames to play forward and places their sms as the next line of dialogue. 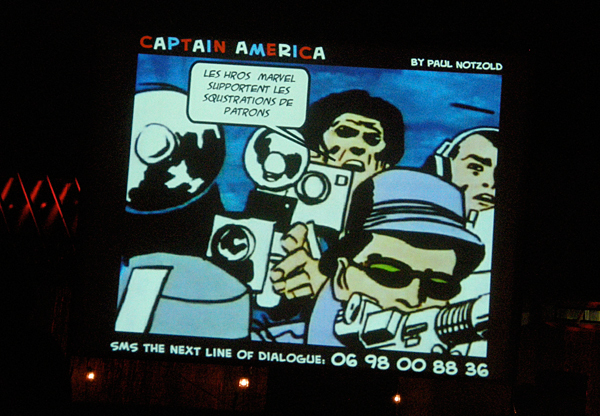 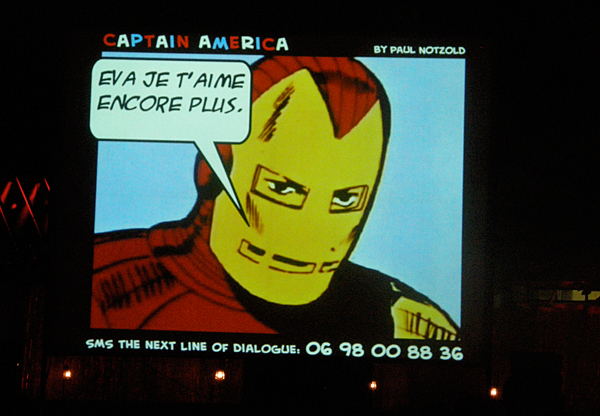 This piece was first shown in April 2009 at Le Ferme du Buisson just outside of Paris.